Cookaholics Bulletin Board • View topic - Capsaicin, anyone? This has been a great year for me, for just about everything, but today I harvested more capsaicin than I think that I ate all of last year...or maybe the last couple of years! 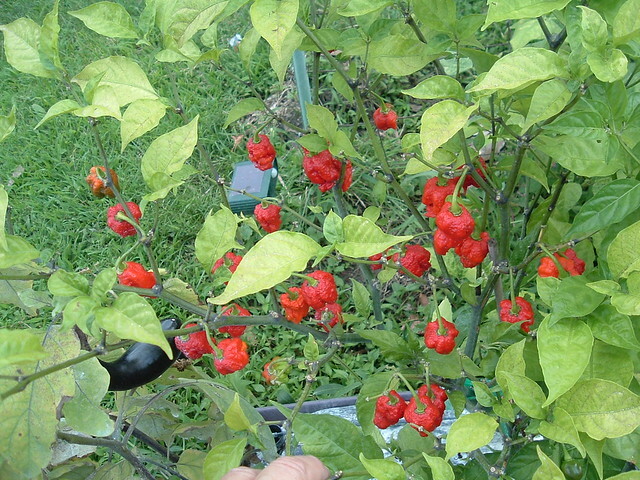 I grew the Carolina Reaper this year, just out of curiosity, to see how hot that it could be. Tried it once, and could only keep it in my mouth for 18 sec., compared to a little over 30 sec. 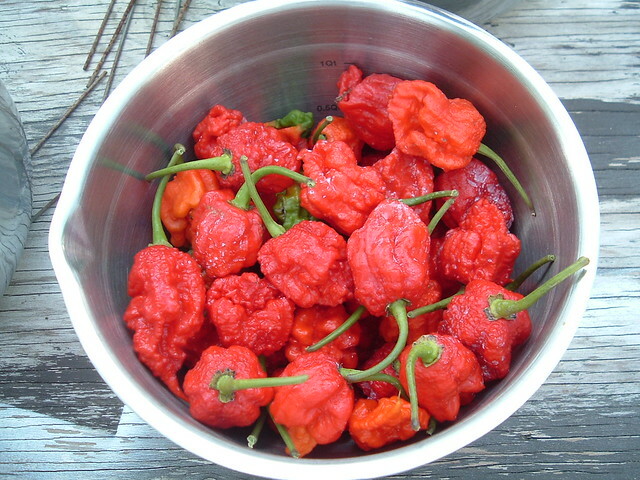 for previous superhot varieties (bhut jolokia, jwala, and mogul scorpion). Not a scientific test, but it was definitely the hottest! Post subject: Re: Capsaicin, anyone? I had to split this up, due to excess url on the flickr photos. 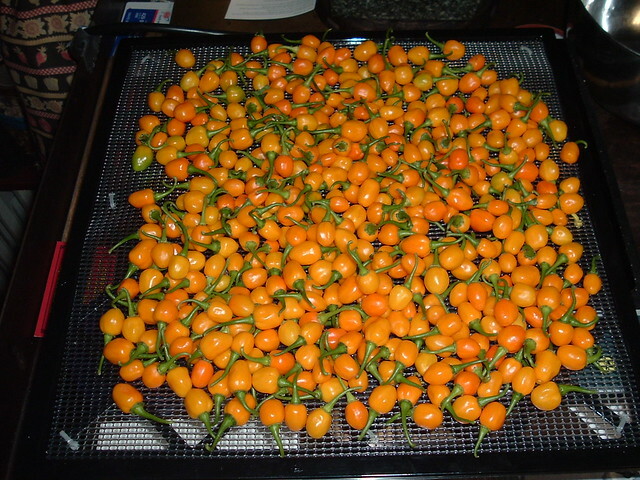 And Gold Bullet habaneros, all off of one plant! 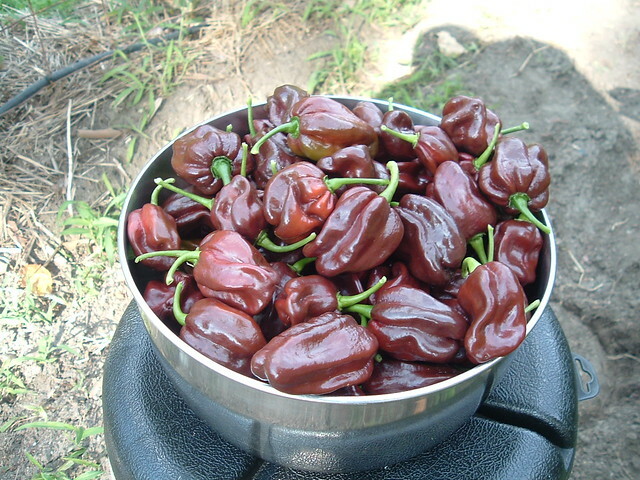 And here's about 5 qts of Chocolate Habaneros, over 60 off of one plant, and 41 off of a plant that was 2/3 ripped away in a storm in spring, yet it came back big time! Given the fact that these things grow so huge in those Earthboxes, I think I'll grow a few less next season! If your thai peppers are unexpectedly mild, I'll trade you a bag of dried for some Oregon wine. Have you considered starting your own hot sauce brand? That gold bullet plant is insane. I might have a lot of peppers, but not that many! As for the mild ones, the Thai peppers aren't really mild, but I have a new one this season - Aleppo. 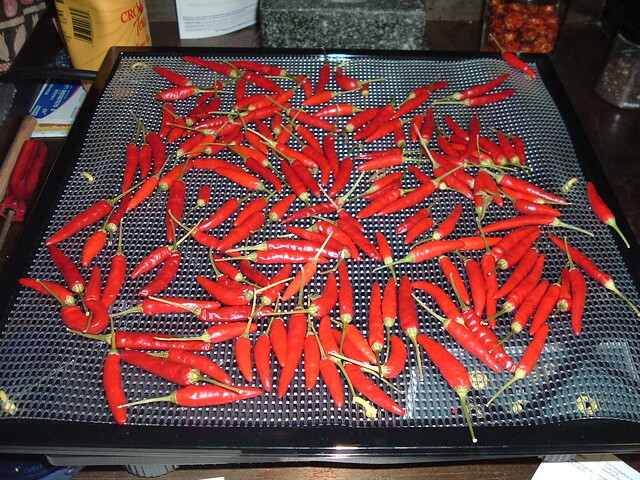 I just put two more trays in the dehydrator to dry tonight. A lot of peppers for just two plants! I'll share some with you, since I know I will have excess!